January | 2011 | 50 Westerns From The 50s. Ernest Borgnine at 2011 SAG Awards. Here’s an article on Ernest Borgnine’s Life Achievement award, presented last night at the SAG Awards. His remarks show what a class act this man is. Look up his list of credits, and if you don’t see a few of your favorite films on there, I’d be surprised. For me, it’s the Randolph Scotts, The Last Command (1955, seen above with Sterling Hayden), The Dirty Dozen (1967), The Wild Bunch (1969) and Emperor Of The North (1973). I’m also proud to say that when my wife mentioned he’d received the award, my nine-year-old daughter knew exactly who he was: McHale. 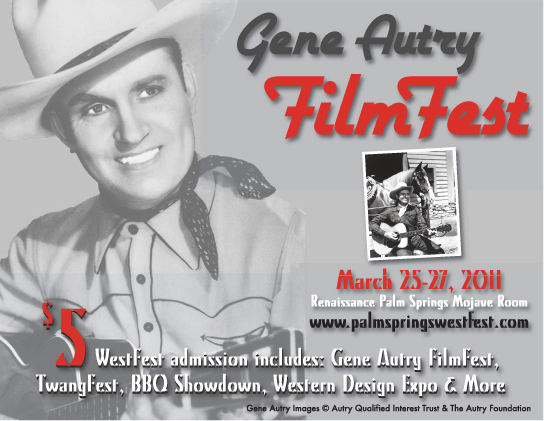 With the support of Jackie Autry and Gene Autry Entertainment, the 2011 WestFest will feature a three-day Western film festival highlighting the film and television work of America’s Favorite Singing Cowboy, Gene Autry. 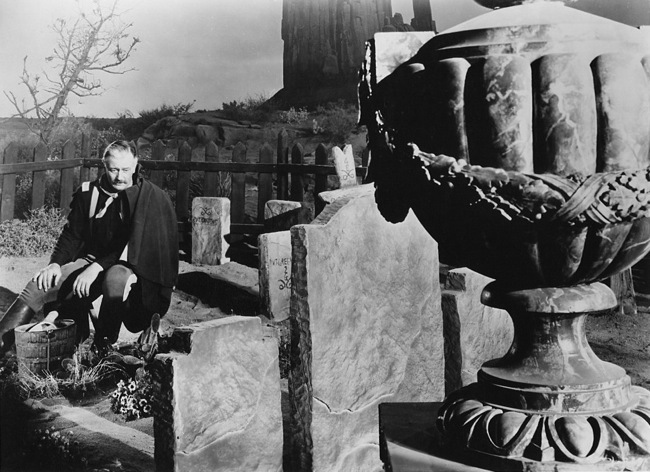 Terror In A Texas Town was Lewis’ last feature before heading into a second career in TV. 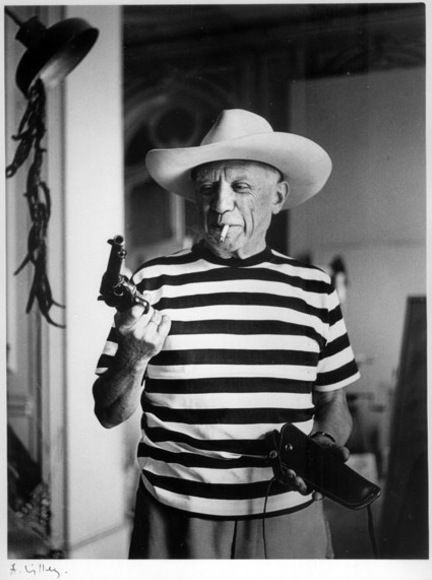 Gary Cooper and his saddle pal, Pablo Picasso. 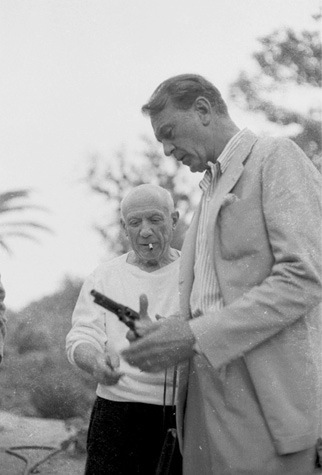 Gary Cooper and Pablo Picasso got along quite well, visiting each other fairly often during the 50s. Here, Cooper shows Pablo a pistol. It’s a shame Picasso wasn’t recruited to do the one-sheet to, say, Man Of The West (1958). In this age of cable/satellite/streaming/Netflix/DVD, watching movies with commercials in ’em seems almost prehistoric, but I thought I’d pass this along. 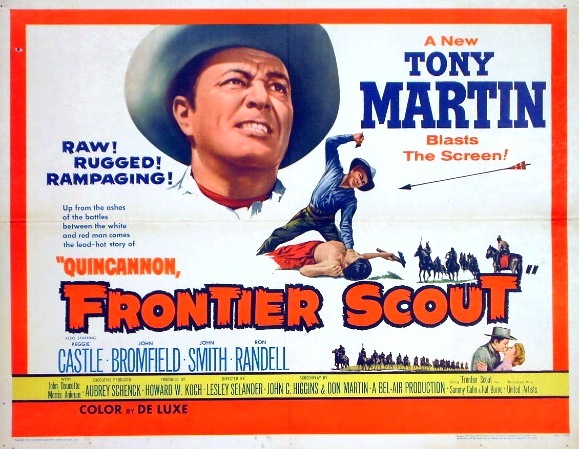 This TV (This is the network — sounds like an Abbott & Costello routine) is running Quincannon, Frontier Scout tonight (Wednesday) at 10 EST. 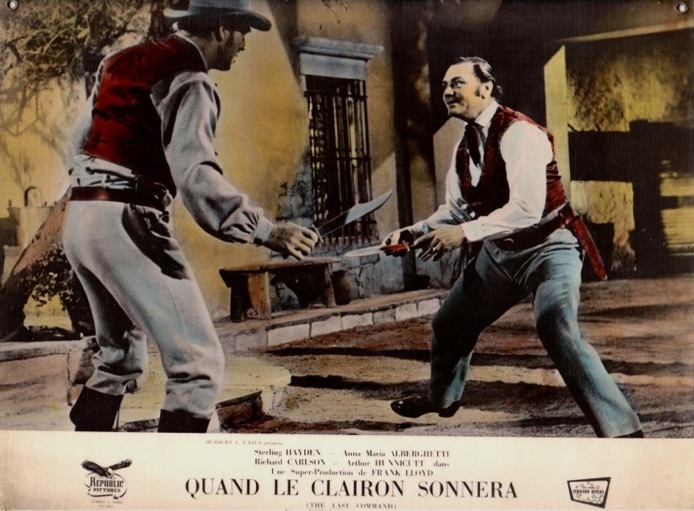 Along with the novelty of crooner Tony Martin appearing in a Western, the picture offers Peggie Castle and Morris Ankrum and the always energetic direction of Lesley Selander. At only 83 minutes long, This might be able to run it in a two-hour time slot without cutting it down to nothing. Spc. Jose A. Torre, Jr.
Laura over at Laura’s Miscellaneous Musings has posted one of those things we see way too many of these days — news that another young soldier has lost their life serving our country. This time, it was Spc. Jose A. Torre, Jr. of Orange County, California. He was 21. I encourage you to read Laura’s post. It’s about a community honoring one of its own — and, well, actually being a community. This may seem kinda odd on a blog dedicated solely to old cowboy movies. But we all owe our gratitude to Jose and our condolences to his family. 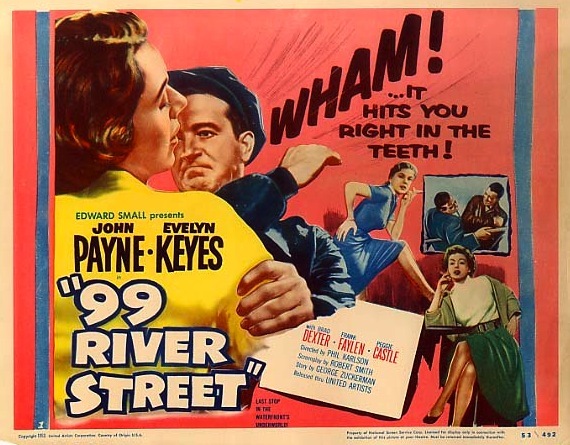 Laura (she of the Miscellaneous Musings) has reminded me that Phil Karlson’s 99 River Street (1953), starring John Payne and Peggie Castle, is now available through TCM’s on-demand program. Around here, if you can’t find a Western to watch, you start digging for an old crime picture, and this one’s as good as they get. 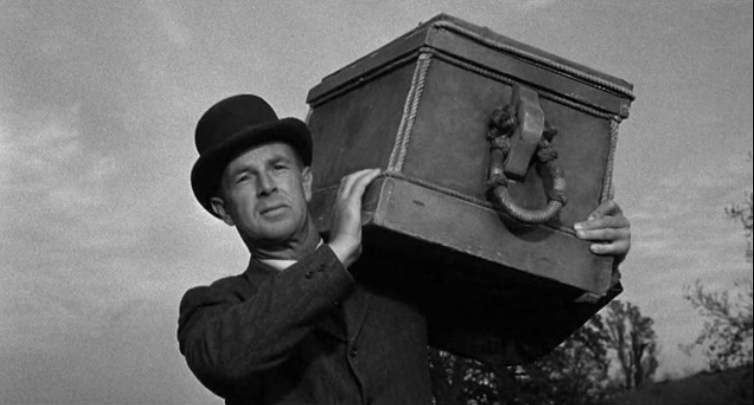 Over the last couple years, Karlson has become one of my favorite directors — and I’ve developed a real appreciation of Payne (thanks largely to his work with Allan Dwan). You can order 99 River Street here. While you’re there, scroll down and look into Big House USA (1955). It’s a tough, gritty B crime film, directed by Howard W. Koch, with a great cast: Broderick Crawford, Ralph Meeker, William Talman, Lon Chaney (Jr.) and Charles Bronson. In its nasty 83 minutes, a kid is chucked off a cliff; a guy is trapped inside a giant boiler — and promptly steamed like a lobster tail; and Bronson has his face and fingertips seared off with a blowtorch to conceal his identity.